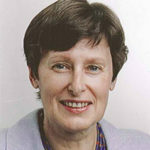 Angela Kane held the post of UN High Representative for Disarmament Affairs until 2015. She provided the strategy, vision, and thought leadership for the UN on its multilateral disarmament and non-proliferation agenda. She was responsible for the investigation of allegations of chemical weapons use in Syria in 2013. She is also the former Under-Secretary-General for Management in the United Nations. She held senior positions at the United Nations in political affairs and peacekeeping, and served as Under-Secretary-General for Management for four years. Her field experience includes Deputy Special Representative of the Secretary-General for the United Nations Mission in Ethiopia and Eritrea (UNMEE), a special assignment to the Democratic Republic of the Congo, and postings in Indonesia and Thailand. As of 2016, Kane teaches at Sciences Po Paris School of International Affairs on disarmament issues, and is a Senior Fellow at the Vienna Center for Disarmament and Non-Proliferation. In April 2016, she was appointed to the governing council of the United Nations University.